A large, black poster hangs on the wall with the reassuring statement: "Don't worry it's going to be great." Posted among the everyday clutter of someone's apartment, it looks like a warning label or a Post-It Note, but reads like a fortune cookie or a bit of self-help affirmation. The intended recipient of this ambiguous message is unclear: is it directed to potentially apprehensive readers or the publishers themselves? 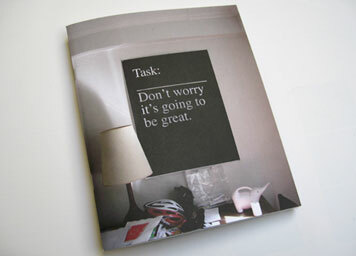 This cover is the premier issue of Task, a self-proclaimed "newsletter" about graphic design published by a trio of designers hailing from Minneapolis (Emmet Byrne), Tuscon (Alex DeArmond, now in Arnhem) and Oakland (Jon Sueda). Although two of the three are (or were) designers at the Walker Art Center where I am the Design Director, it should be noted that I had no involvement in this publication other than some misattributed statements by me. The theme of Task #1 is the "Eclectic Slide," represented mostly in what the editor-designers call the "spine," a series of interleafed pages of text excerpts about eclecticism that course through the issue. The rest of the content consists of interviews with an array of designers and articles about specific design projects. For instance, featured is the book design for Al Gore's An Inconvenient Truth and the Cat Lover's Against the Bomb calendar, letting us know that design — well, Powerpoint and a litter of kittens — helps keep climate change and nuclear catastrophe at bay. The immediate impression of Task is that it represents something of a cross between early Emigre magazine (in terms of its interviews, not its design) and the cultivated eccentricities of Dot, Dot, Dot (with which it shares certain editorial proclivities and ambitions). The presence of Task asks, How do you make a magazine for the post-critical, post-movement moment of contemporary graphic design? There is an air of hesitation about the whole venture, an uneasiness or uncertainty, but it is unclear whether that belongs to the editors or to field at large. While most newly minted publications trumpet a manifesto, Task soft sells its purpose — "design as a perspective, designed objects as evidence of larger systems, and designers as researchers," a mélange of contemporary design tendencies. Even its designation as a newsletter seems to under promise (only to over deliver). The tentativeness extends to its initial theme of eclecticism — what topic could be more relative and tactically evasive? 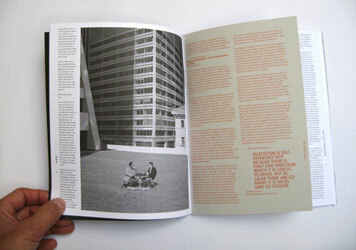 Of course, the immediate question such a publication provokes is: "Do we really need another graphic design magazine?" My knee-jerk answer is no, but then I think about what is available now. Most of the existing fare reflects mainstream sensibilities and few if any position themselves as exceptions to the rule. In this context, we desperately need alternative venues — spaces where design is not a noun but a verb, places where the work doesn't have to speak for itself because its designers can. But can Task be that place? Constrained by its budget or perhaps its editorial position, Task lacks the pictorial and chromatic thrill of its mainstream counterparts. Thus, Task is not for the reading averse. There is more text crammed into this initial offering than belies its seemingly compact 64 pages. Expecting illustrations of work? Better look elsewhere, perhaps online. At first glance, it is somewhat surprising that a publication like this exists today in print form. With the proliferation of blogs, the ambient consciousness of instant messaging, and the social networking of the Web, one might have expected that the task of exposing new designers and their working processes would fall to the Internet — the triumph of digital immediacy and networking over the print world's delivery of yesterday's news today. Even the editors of Task seem aware of certain time-to-market problems, as evinced by their own declaration that the contents of their publication might have expired during the newsletter's lengthy 18-month gestation period, adding that "finding and marking the exact moment it 'spoiled' might be somewhat entertaining." Although the contents appear to have a longer shelf life, it seems beside the point. The real purpose of Task is its mere existence, its physical embodiment as proof of concept. While its mission provides an editorial framework, its ultimate task is seeking like-minded readers (a.k.a. subscribers) — the most fundamental work of publishing. One of the legacies of print capitalism is the creation of "imagined communities," a term associated with Benedict Anderson, one of the leading scholars of nationalism. By imagined, Anderson means not a fantasized community, but a perceived one. An actual community is one where the members know each other. In situations where this is not physically possible we have imagined communities, where members share a language and whose existence may be posited but is nonetheless real. Interestingly enough, Task provides an example of an actual community. Kristina Bell writes about a group of designers, artists, and writers in the Bay Area that meets each Friday to have lunch and conduct a show-and-tell session — a kind of reverse swap meet where stories and opinions are exchanged and examples of graphic design are circulated. The legendary Jack Stauffacher acts as host and attendees vary, with a rotating group of regulars and an occasional guest. It is this loose-knit gathering of regulars and the regular promise of discourse that makes this kind of community so compelling. And, for a brief moment, we are allowed to enter that world — eavesdropping on conversations, getting the lay of the land from the author. Lest we imagine attending the gathering in person, the name of the restaurant has been strategically redacted. In the end, Task offers us a glimpse of such connection, only to reaffirm our distance from it. Perhaps this is the fate of all imagined communities. William Drenttel, I was not aware that you were the Design Director of the Walker Art Center. Editor's Note: This piece was incorrectly posted for 1.5 hours with William Drenttel as the author. This was an error. This piece is authored by contributing writer Andrew Blauvelt. My personal apologies to Andrew and to our readers. There was a student publication, also named Task, that came out of the Harvard GSD in the early 1940s. It featured commentary by people such as Serge Chermayeff and Hannes Meyer, and even some letters addressed to the editor by Erich Mendelsohn. RE: "uneasiness and uncertainty:" it comes with the times. The minute I saw the cover of Task it made me think of this other interesting expression of reassurance in the face of self-consciousness and tentativeness. The 18-month gestation period does come through, but mostly in a positive way, as the product is very nicely executed and every decision seems well considered. My biggest complaint at the moment was the interview by Project Projects; it was tremendously unfocused in an attempt to come across as fresh and/or "real". When publishing folks complain about blogs being unedited and suffering from it, I would recommend to them reading this interview as proof that the medium is just the delivery mechanism for both genius and crap. Other than that, I've been enjoying Task. I tend to like more aggressively affirmative expressions of optimism. Evasiveness as a mode is a bit at odds with the nature of 'post-criticality (a borrowed term from architecture, as it's debatable whether graphic design has ever had a critical period to come out of)', as the term implies the fact that there is enough work to go around so that designers can speak through their work. This is also known as, somewhat contradictorily, a 'critical practice'. I question the validity of what is termed as an 'evasive' attitude since making and distributing a design object as a designer is putting a position into the world. Being a designer and finding one's voice requires the exact opposite of an attitude of avoidance. Even Dot Dot Dot, which the author of the post holds up as a model for task, expresses a very strong position with each issue it releases. An "imagined community", aka an "audience" (which ultimately justifies advertising rates), forms around a position. The cover could be an unconscious reaction to this, the poster that lured one of the Task designer/editors to the Walker in the first place. Walker Art Center's call for interns poster, designed by Jodie Gatlin, 2001. In my opinion the critical establishes a position. The post-critical does not. I'm not evoking a specifically architectural reference for the term, only alluding to the idea that there is nothing to define, uphold, be against, or resist, etc. The issuance of an object into the world does not necessarily establish a critical position. It is possible that we can have more objects and fewer critical positions. This reminds me of a turck I saw today on the stret. It was for garden designers and the name of the company was wirtten on big block letters on the truck. It'll grow. This is an oddly passive way to describe a publication that took 18 months to create. During those 18 months, the authors made many decisions the cumulative result of which is this document. They took many steps to produce this and get it out into the world. I agree with Manuel that it all amounts to "putting a position into the world." Asserting that there is no position being put forward looks awfully like a rhetorical strategy. This is like saying that something is "natural" or "it's always been this way," strategies which seek to deflect criticism pre-emptively thereby making the unstated position appear stronger. How much this is the case with Task, I don't know, not having read it. I am only responding to Andrew Blauvelt's and Manuel's statements. I have very little to go off since i have not read this(yet), but in line with Dot Dot Dot, this newsletter and any that would follow or have already been always come off uncertain upon arrival. The current practice of design is akin to a person purposely starving themselves to deliver a false reality with the reward of a diminished soul. Now of course this isn't everyone, but despite the editor/designers "uncertainty" of purpose its cause comes from that which they practice daily. They live parallel lives where by day they strive for clients and by night look introspectively at themselves, the rest of the field and the practice of design itself. Uncertainty is practically bleeding from nearly every designer. What is great is that despite a resistance that is neither seen nor heard they can be optimistic about which they are impassioned. They see a future where they don't have to starve their souls and despite the lack of a "purpose" that is clear and neat, this issuance should be only one of many. Dot Dot Dot alone was not going to usher in a sea change as a specific type of designer, literary fans reads it. The community as a whole needs to be confronted with more publications like these that rely less on the superficial(or common)content and more about how our work truly affects ourselves, our profession and the world at large. I think work stakes a claim. Its the material manifestation of a methology and process, inherent in which are values. This presentation by Josh Prince on the Seattle Public Library illustrates this point really well. I appreciate the engagement with the problem, and the project being both a very good solution to a design problem as well as being avant garde. "...there is nothing to define, uphold, be against, or resist, etc." I question the value in entertaining this line of thinking. Especially in the context of design, which is always an act of definition, and the creation of a form that eventually becomes a common link between individuals. Furthermore, while I can appreciate the gestation time for this publication, you would think that the designer/editors would have maybe researched previous interviews with their subjects before conducting their own. Off the top of my head, I can think of three magazines (at least) on my shelf at home that feature a profile with Zak Kyes where mentions something about design being "more on the surface" in London. [No disrespect for Mr. Kyes, of course] I guess I was just hoping for a new publication to give me something new to read, not an interview I've already read elsewhere. And honestly, with the type that small and in so many columns, one wonders: did the designer/editors want anyone to read it at all? I know that we designers have a tendency to want to do everything themselves. The designer/editors of Task have set up an interesting framework, but maybe for the next issue, they'd consider working with an editor/collaborator to smooth out the writing into something a little more dynamic? I prefer the phrase "design as tedious navel-gazing" for all such work as this. As for "post-critical"? That is a nonsense term. Also, people who expect "editorial rigor" from designers self-producing some quasi-academic magazine-thing is akin to expecting, you know, typographic subtlety from editors laying out stuff w/ MS Word on their PCs. I.e. what did you really expect? Finally. . . why exactly should we bother looking at a magazine with such a pedestrian design again? Just curious. One of the legacies of print capitalism is the creation of "imagined communities,"
The existence of magazines like Task is un-surprising because some branches of the design community remain offline and only imagined. The print design community, for example, lurks online under the guises of "graphic design" and "branding" without, it seems to me, openly focusing on and discussing print design, and hence, without creating an online community specifically for print designers. I can only imagine that these hidden designers must seek sustenance somewhere, and perhaps it is in the tactile, finger-staining pages of publications like Task, where they feel free to interact, in an imagined sense, with other, equally closeted designers, who guard their work carefully, and shun the free flow of rehashed ideas and a-thousand-times-employed concepts found in the realms of "digital immediacy and networking." But is this a good thing? Is Task's relevance, as I posit it here, a good thing? Must print be loyal to print? I'm not sure. Andrew Blauvelt is Curator of Architecture and Design and Chief of Communications and Audience Engagement at the Walker Art Center in Minneapolis. 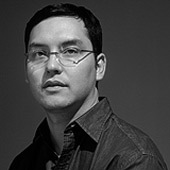 A practicing graphic designer his work has received numerous awards and has been published and exhibited in North America, Europe, and Asia. He has organized numerous exhibitions. Andrew Blauvelt takes stock of the graphic design history movement that began in the 1980s. Is there any overarching philosophy or connective thread that joins so many of today’s most interesting and increasingly diverse designs from the fields of architecture, graphic, and product design? I believe we are in the a third major phase in modern design history, moving towards an era dominated by relationally-based design activities. City and Suburb: Worlds Away? The mutual dependency of city and suburb is both physical and psychological. City dwellers and suburbanites need each other to reinforce their own sense of place and identity despite ample evidence that what we once thought were different places and lifestyles are increasingly intertwined and much less distinct. June marks the start of a month-long series of LGBT Pride celebrations in cities around the United States and the world, as well as the 30th anniversary of the rainbow flag — the de facto symbol of the LGBT community. While the visual and media focus of the celebrations have been the parades, the most enduring element is perhaps the rainbow. The story of Peter Seitz provides one example, and we can rest assured that there are many more stories just like his in cities across the country — modernism in the fly-over zone, if you will — which add a critical human dimension to design's rich cultural heritage.